With their busy schedules and late-night activities, academic or otherwise, college students have become a big market for different kinds of coffee-based beverages to perk up their day. Married couple Farwa and Ronnel Hombre also enjoyed the energy boost from caffeine when they were college students almost a decade ago. However, they couldn’t get enough of the beverage because it was too pricey. Specialty coffee sold for more than Php100 per cup near their schools, they recalled. In 2009, while they were on their third year in college, the young couple founded Farron Café and opened their first outlet in the U-Belt area in the city of Manila. The shop’s proposition was simple: for Php39, customers can enjoy 12 ounces of coffee frappe. The largest size it offered at 16 ounces sold for just Php59, or just half the price of the smallest size retailed at big chain coffee shops. Farron Café was a kiosk that didn’t have tables or chairs but it drew in hundreds of customers a day. 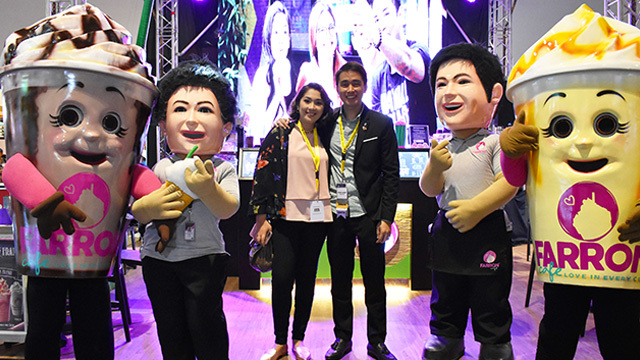 By their second month of operations, the young entrepreneurs opened a second branch within the area and it still attracted the same big crowds as their first. The young entrepreneurs had hit the jackpot—a fortunate result of all the risky moves they had to take just to start the business. The couple, who was still dating then, acquired a loan from a small cooperative through the help of one of Ronnel’s professors who believed in their business idea. When that wasn’t enough to start the business, Farwa pawned her pieces of jewelry and even their gadgets. Once they reached around Php100,000 worth of capital, the couple leased a small space in Manila and started their journey into entrepreneurship. In less than six months, Farwa and Ronnel recovered their capital, and more. It may have helped that the couple have always been gritty and enterprising. From elementary to high school, Farwa would sell snacks to her classmates, priced lower than the ones offered at the school canteen—enough for her to be nicknamed “Ms. Sari-Sari store” by her friends. As for Ronnel, the 11th child in a brood of 15, he took on the challenge of financing his education after his father died while he was still in college. In fact, he was still working part-time for a retail company when he started the business with Farwa. While most founders who started their businesses right out of college opted to forego school altogether, the Hombres went on to finish their degrees. Farwa graduated with a Bachelor of Science in Nursing while Ronnel graduated with a Business Administration degree. They accomplished this while still managing the business and opening it for franchising. By 2013, the business had 24 branches in Metro Manila and Cebu. Francorp is one of the country’s leading franchise consulting businesses in the country. While its rates aren’t posted on its website, some business owners say formalizing the business with the company would cost up to Php1 million worth of investment. If it took that much for the Hombres to have the franchising business formalized, that proved to be worth it. 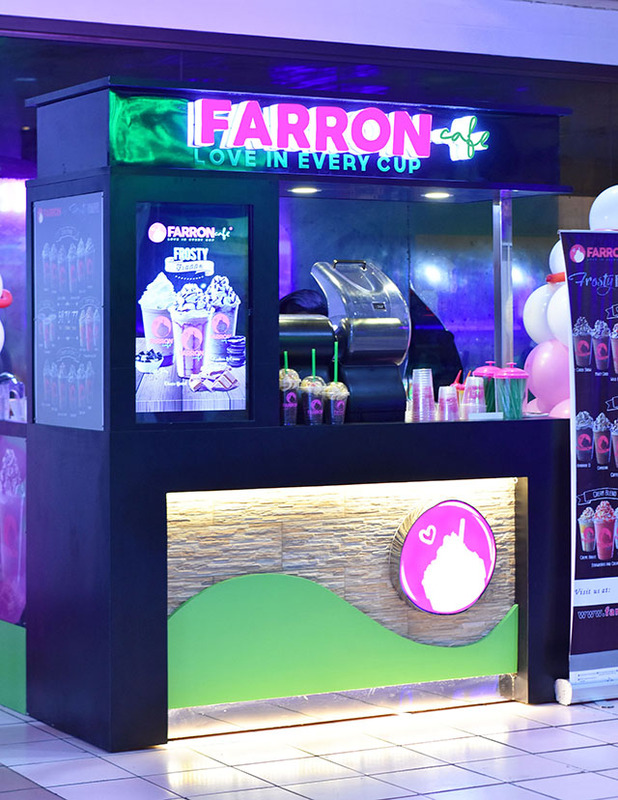 Farron Café now has 235 branches nationwide, opening more than 20 branches annually since 2013. 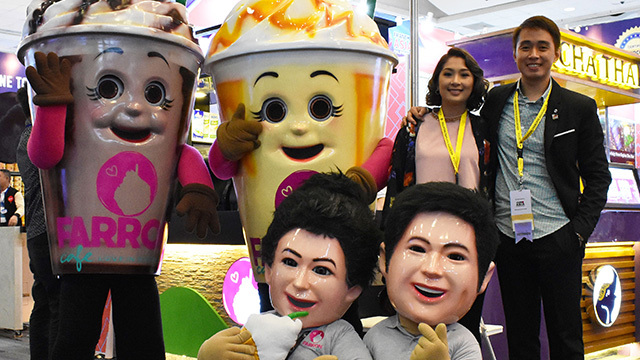 The franchising packages of the brand costs as low as Php500,000, which already comes with equipment, initial inventories and a kiosk enough to fit a four-square-meter space. The business has also since increased the prices of their offerings but still within the budget of a student; the cheapest cup is now sold for Php59 while the largest one is sold for Php79. Inquiries continue to deluge the business owners, but Farwa said at least 50 percent of aspiring franchisees get rejected. In recent years, the company has started to source their coffee beans from local farmers based in Benguet, Batangas and Cavite. With orders reaching one to three tons a month, Farron Café has been supporting hundreds of farmers in the process. The company has also started investing in growing coffee beans. Farwa said they recently planted coffee trees in a five-hectare land in Tanay, Rizal, which will hopefully bear fruit after five years. If the venture proves successful, the couple plans to turn it into a destination coffee shop that can help people understand local coffee farming. For a business born out of young kids’ pursuit for more affordable coffee, Farron Café proved to be more than just child’s play.